If you’re a recreational boater or fisherman who prefers to propel his boat with the power of muscle to the power of an outboard motor, then it’s important you choose a quality oar. However, oars aren’t just for canoes and flat-bottomed freshwater fishing boats, they’re also required to be onboard boats with motors as a precaution in the event of engine failure. Before motors existed, the earliest boats were powered by hand carved oars. The Native Americans, Vikings, and Polynesians all used oars to propel their boats across great bodies of water. Today, boaters and fishermen still use oars to paddle their boats across the water and in and out of narrow inlets and streams. 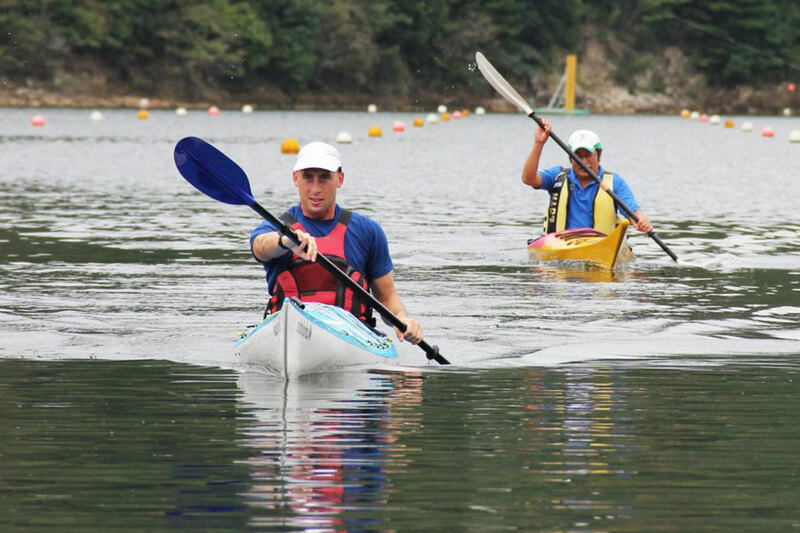 Oars must be of the right length, weight, and rigidity in order to have the most efficiency. If they are too long, heavy, and hard to pull they are less likely to clear the water on your backstroke, which induces drag and reduces speed. If your oar is too short, you won’t be able to penetrate deep enough into the water to get enough leverage for propulsion. The narrower the boat, the shorter the oar can be. However, selection is largely dependent on the individual rower’s size, reach, stroke style, and personal preference. The Carlisle Wood Economy Boat Oar is slated for rowers who want a classic look and feel from their oar. Both the shaft and blade of the oar are constructed with laminated wood for maximum strength and just the right amount of flex for its weight. As to prevent rotting and expansion, the wood is sealed with a protective, water-resistant urethane finish that also gives it a brilliant, glossy finish. The Carlisle Wood Economy Boat Oar is available in lengths from 5-feet up to 7-feet, with a weight starting at 52-ounces. With a wooden oar like this one, you are able to experience a more natural feel as the oar goes in and out of the water. Wood also serves well to absorb shock, and also has more heat management value than aluminum or composite-handled oars. Whether you’re rowing from the center of the boat or the rear, or if you have two rowers sitting tandem, the Sun Dolphin 6-Foot Oar Assembly will help take you where you need to go.The set includes two aluminum-shafted oars and two oar eats for easy integration into most boats. Whether you’re looking for manual steerage for a 20-foot inboard/outboard or an 8-foot dinghy, the Sun Dolphin Oar Assembly kit has exactly what you need for an enjoyable day out on the water. Lightweight, durable, and resistant to rust and rot, these oars make a great stowaway on any boat. The 6-Foot Aluminum Oar from Shoreline Marine is designed to make rowing a cinch. The length is ideal for the average sized rower and average sized boat, and its light weight allows the rower to maximize his/her energy without tiring easily on long days on the water. The aluminum shaft is study as to standup to collisions with the side of the boat, branches, and rocks in the water, and is designed to prevent corrosion from constant contact with the water. The top of the handle is straight inline with the rest of the shaft, though a foam, padded grip is added to increase comfort and stability. The oar’s blade is about 21-inches long and 7-inches wide and curved to optimize the flow in and out of the water. Fortunately, the Shoreline Marine 6-Foot Oars do float, so you can rest assured that you’ll have a solid chance of recovering it in the event it falls from your grip into the water.